Just so you know, I’m not kidding when I say Macaron madness. I was hooked right from the first time a friend bought me these. And when I decided to make these, I kind of drove myself (and everybody else around me) mad. 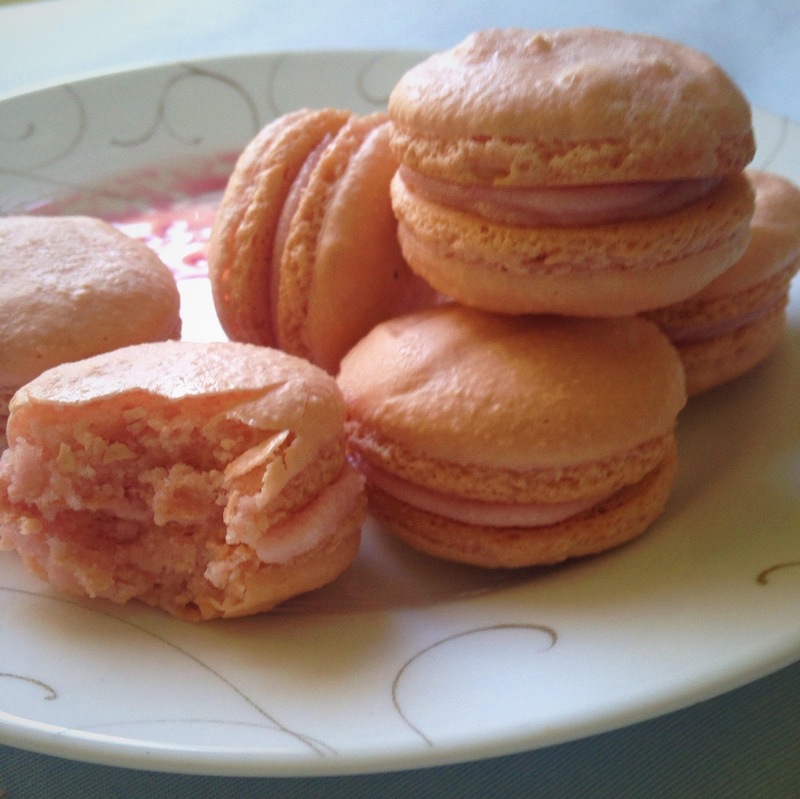 I knew making macarons would be challenging and when I started to research recipes, I came across entire blogs dedicated to macarons, macaron troubleshooting guides, macaron bibles and what not. All because these cookies are very very finicky. French macarons, not to be confused with macaroons, are basically two almond meringue cookies, light as air, yet chewy, with buttercream sandwiched in between. These aren’t your run of the mill cookies, they play coy, too hard to get, but you have to woo them, with tender loving care, you have to give them time, let them rest and the result is no less than a reward! 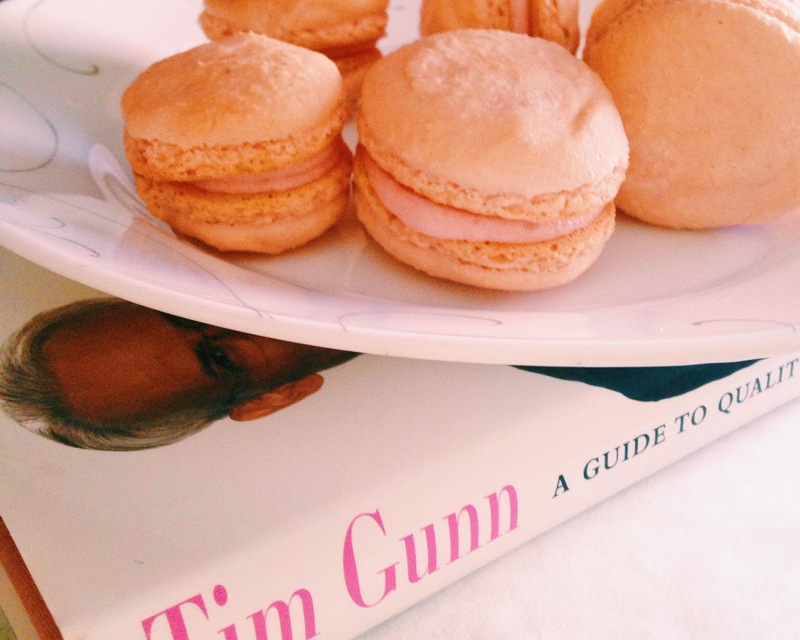 These little delights are so elegant and chic, so for pictures, I paired them with my favorite fashion guide by Tim Gunn – ‘A guide to quality, taste and style’. 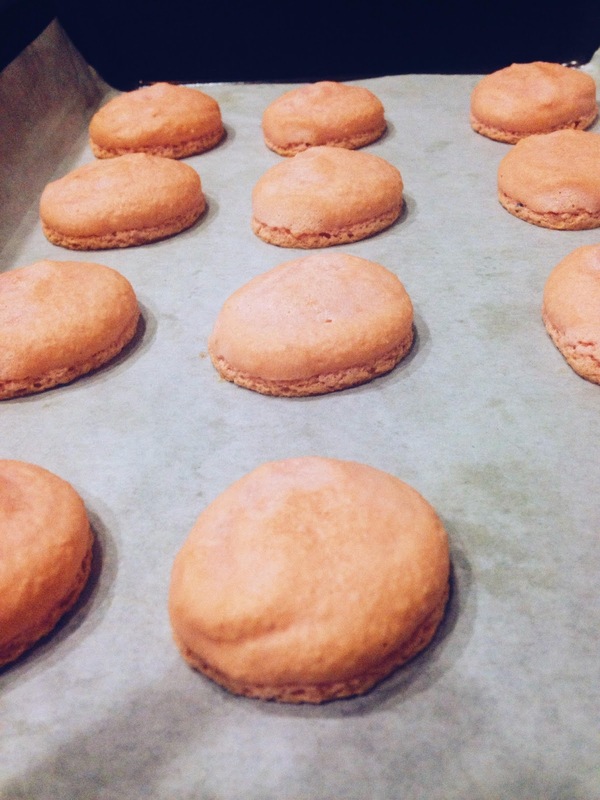 If you’re set on making macarons, there are some hard rules you have to follow. I found this video by Stephanie Jaworski of Joy of Baking very helpful. It’s 20 mins long but do watch it, she has some great tips. After days of going through recipes, here’s the one I finally went with. Bake at 350‘s recipe. She has made it really simple but precise at the same time. Her recipe makes only about 10 sandwiched cookies so it’s perfect for making a small first batch. Beat the butter and sugar together till light and fluffy. Add the rose syrup or rooh afza one tablespoon at a time and check for flavor. Pipe it on your macarons and enjoy! Not too shabby for my first try, isn’t it? If you’re thinking about making them, don’t be intimidated! Do your research well, follow the rules and then go for it. Don’t forget to put on some pretty French music! Tara, Hi! Where have you been? Nice!! I bake cookies at home for the kids – that way I'm sure they are all "atta" and no "maida". The macarons here seem very similar to those. I'll try the buttercream filling this time around. I usually add some vanilla essence when I beat the butter + sugar – but I use the resultant for the dough. Yeah…Things we do for kids, right? 😉 This one's got almond flour so it's good for them too. Portion wise, they're tiny so we don't end up with sugar rushes 🙂 Give the buttercream a shot. I have to stop myself from polishing off everything myself, it's that good. Thanks for stopping by! You've got a great blog yourself. Thank you Sujata! 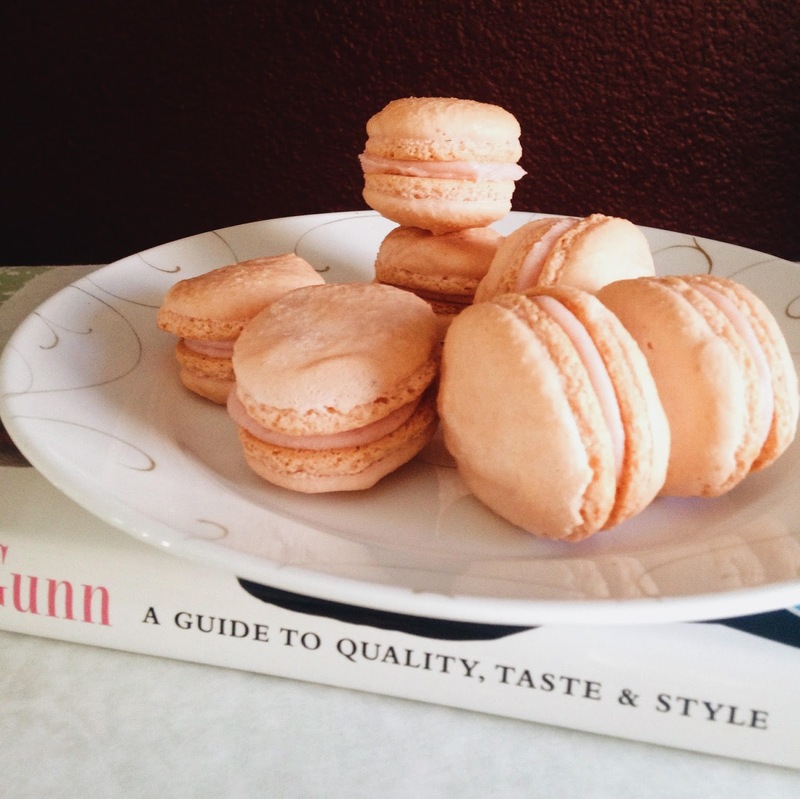 What flavor macarons did you bake? You did so well though and they are worth being mad for, love them, laduree makes the best ever ones.